By developing financial instruments of the right type and right quantity in the agri-food sector, we can dramatically enhance the capacity of our farmers and agri-businesses to innovate, grow, export and create jobs. I delivered this message in Brussels today when I opened the seventh Fi-Compass Conference of 2016 with my colleague Jyrki Katainen, Commission Vice-President for Jobs, Growth and Investment. I am grateful for the vice President's support and his confirmation that EFSI financing is available to support agricultural SMEs and economically and technically viable projects in the agri-food sectors. All businesses need credit to develop and grow, but farmers and agribusinesses often encounter difficulty accessing loans due to the cyclical and unpredictable nature of their work. This is why they need loans, finance and investment possibilities tailored to the agri-food sector – this is crucial to remain competitive and sustainable in the medium and long run. Therefore, they must have the same access to vital loan and investment possibilities as other dynamic sectors of the economy. The CAP is opening up to embrace new ways to access finance for rural entrepreneurs and agri-businesses, particularly in our rural development programmes (RDPs). EU Member States and regions now have the possibility to build financial instruments into their RDPs, and many are seizing the opportunity. We have three particularly interesting pioneer cases. Estonia has established a €34 million Loan Fund; the German state of Mecklenburg-Vorpommern has established a €10 million Loan Fund; and the financial instrument set up by the French province of Languedoc-Roussillon is about to be joined by another province, Midi-Pyrenees. Romania is very close to signing a funding agreement for a loan fund involving 87 million euro of rural development funding, with leverage effect leading to altogether 130 million euro. And when it comes to regional cooperation, Italy is leading the way: next year, as many as 10 or 11 Italian regions could work together to adapt their rural development programmes to include financial instruments. The new EAFRD-EFSI initiative is a great new opportunity that offers excellent possibilities for attracting private capital. These are enormously exciting developments, and I strongly encourage managing authorities and stakeholders in other regions and Member States to follow suit and I am ready to throw my full support behind those Member States which are willing to open the financial world to their farmers and rural businesses.. The European Investment Bank has a vital and central role to play in this challenge. The EIB has taken a number of positive steps, working with credit institutions. This includes Credit Agricole, which has drawn down a €200 million general credit line for agriculture in France. But I believe the EIB can do even more. And the time to act is now. 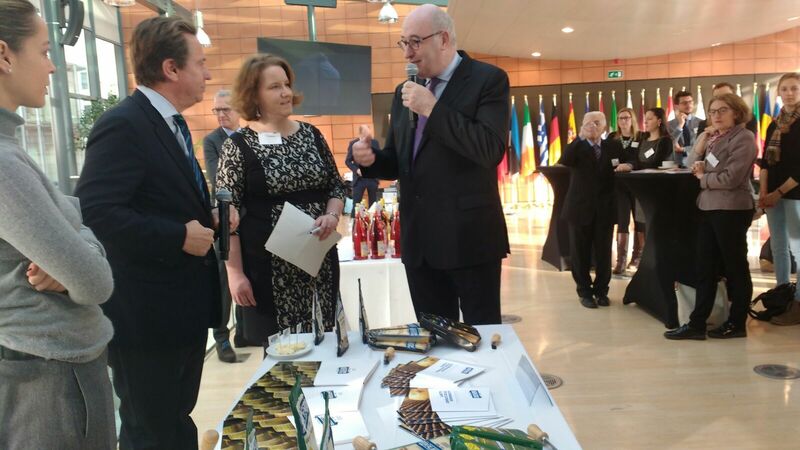 Yesterday I addressed a gathering of SMEs from the European food and drink sector, and it is clear that they are hungry for finance and investment. There is strong goodwill and momentum from the business and political world, so why wait? We need the financial services world to step up and make its contribution. 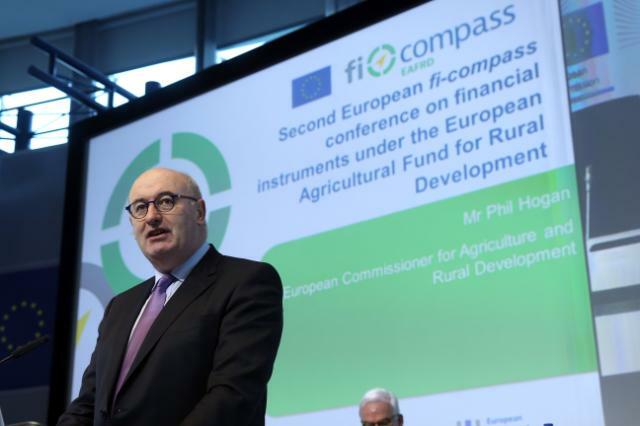 I will only be satisfied when the European Investment Bank is fully on board with the concept of financial instruments tailored to the EU agri-food sector.